Vacations are usually the best way to relax and give yourself a moment to do what you want at your own pace. However, traveling to new places is also the ideal opportunity to appreciate the natural sceneries in all their splendor. Sometimes staying up long hours and waking up early or traveling long distances are well worth it especially when you capture picturesque landscapes that you aren’t able to admire from your hometown. Without a doubt, the sunrise in Los Cabos is one of them, a breathtaking scenery well worth stealing a few minutes of sleep for. When the sun begins to peak from the horizon of this majestic coast, the sky becomes a spectacular canvas of orange, yellow and red hues creating the perfect setting to reflect. Whether on a solo trip or sharing them as a couple, with friends or as a family they are moments that take your breath away and become magical memories to treasure for years to come. Don’t know where to see the sunrise? Thinking of enhancing your sunrise experience even more? 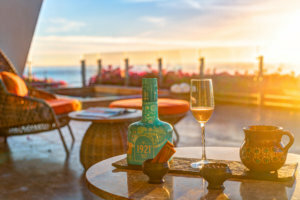 Grand Velas Los Cabos resort created an amenity to embrace the benefits of nature with a rich coffee and tequila cream to enjoy a sweet and very Mexican awakening. 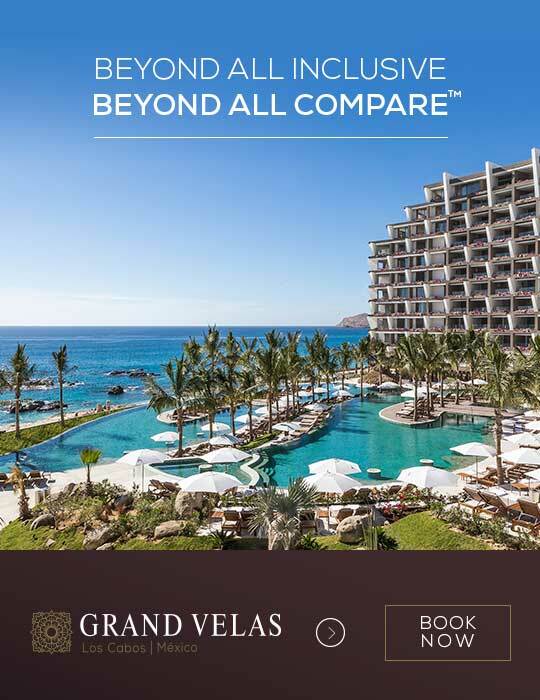 At Grand Velas Los Cabos you will not only be able to appreciate the rise of the astro king with the sound of the waves that break on the shore, but you will also have the comfort of seeing it from your private terrace with a cup of coffee, which will be delivered to your suite 5 minutes before the spectacle begins. Observe the first rays of the day and become a devourer of incredible moments that nature holds.